The Department of Justice isn’t talking, nor is PharMerica, but at least one report claims the embattled institutional pharmacy operator is nearing settlement with the DOJ on two lingering False Claims Act cases. Louisville, Kentucky-based PharMerica has been embroiled in one whistleblower lawsuit under the U.S. False Claims Act since 2009 filed by Jennifer Denk (later Jennifer Bluth), a former employee pharmacist who blew the whistle when she allegedly discovered that Schedule II narcotics were being dispensed under her license without physician approved prescriptions and a host of other allegations of massive healthcare fraud against the government in billing Medicare. 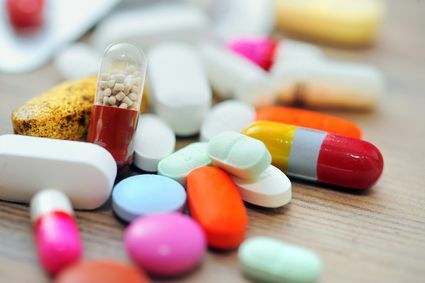 In the second case, also filed as a lawsuit under the False Claims Act, the federal government alleges that PharMerica engaged in an illegal kickback program with the drug manufacturer Abbott Laboratories. The allegations claim that over an 11 year period, PharMerica improperly promoted the use of the anti-seizure medication Depakote to treat aggressive behavior and agitation in dementia. The FDA has only approved the drug for seizures, controlling manic episodes in bipolar disorder, and for the prevention of migraine headaches however payment claims were made to Medicare and Medicaid programs for these off-label uses. In exchange for pushing Depakote, Abbott Laboratories allegedly paid rebates to PharMerica. Under the claimed scheme, PharMerica would get a kickback each time the company switched a patient from a non-Abbott to an Abbott Labs produced drug. According to the suit, PharMerica hosted events for doctors in which the company would promote off-label prescriptions of Depakote. Between 1998 and 2008, Medicaid paid over $7 billion for prescriptions of Depakote and its variants. Between 85 and 90 percent of prescriptions were for off-label use. In a separate 2012 settlement Abbot Labs settled civil allegations for $1.5 billion and pled guilty to related criminal charges. Sources say that federal prosecutors have advised the U.S. District Court judge that they are finalizing a settlement for a financial payment of an as yet undisclosed amount by PharMerica and subject to the pharmaceutical firm’s signing of a Dept. of Health and Human Services corporate integrity agreement. No statement has been made regarding whistleblower reward amounts to Jennifer Buth and other PharMerica whistleblower award claimants. PharMerica serves long term care facilities and hospitals in 40 some states with 6,000 employees. Any actual or reported settlements are typically in lieu of an admission of guilt or liability in False Claims Act civil prosecutions.